Last week Greg Hollin sent me an interesting article by Charles Taylor on Latour and metaphor which was an enjoyalbe read, as it sparkles with word play from the title onwards. However, this is not what I want to write about. When reading the article I happened to glance at a footnote mentioning an old article by Alfred Schütz entitled ‘The Well-Informed Citizen’ (1946). I have written about the joys of reading old stuff before (especially Ziman and Bronowski), so this post ties in with that theme. I have also written about conceptual issues around citizens, publics, citizen science and scientific citizenship. So my post ties in with these themes as well. But first, an admission: I had not heard about this article before, which belies my sociological ignorance! I would like others to avoid this gap in their knowledge; so what I’ll be doing here is extract some highlights from the article. I recommend though that people read the whole article themselves. It is written in language that anybody can understand and has no footnotes or other extraneous embellishments. The article is important I think, as it provides insights into issues around knowledge, expertise and citizenship which might be forgotten in the more modern literature on the relationship between science, politics and publics. The article begins with a thesis that is even more relevant now than it was in 1946: “The outstanding feature of a man’s life in the modern world is his conviction that his life-world as a whole is neither fully understood by himself or fully understandable to any of his fellow men”. He distinguishes between three ideal types which have however very fuzzy boundaries and people can switch between these at any time: the expert, the man on the street and the well-informed citizen. What distinguishes them in terms of knowledge, access to knowledge and the use they make of that knowledge? The well-informed citizen thus becomes a mediator between the domains of science and politics, overcoming the limitations of both. To achieve this, the well-informed citizen needs to acquire ‘socially approved knowledge’. Is all this relevant for discussions about science and politics, experts, knowledge and publics? Let me know what you think! 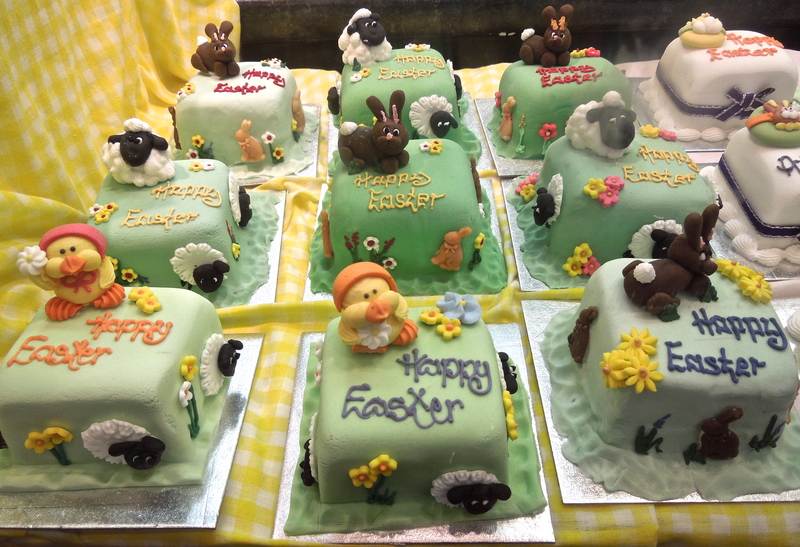 Image of expertly crafted cakes spotted at the Covered Market, Oxford, before Easter 2015, taken by myself. Thank you for the posting this. I came across your Blog while looking for the Alfred Schutz article which I had first seen when I was a student many years ago. My interest in revisiting the “Well-Informed Citizen” was get some perspective for thinking about calling Jordan Peterson a public intellectual in the New York Times. ( https://www.nytimes.com/2018/01/25/opinion/jordan-peterson-moment.html ) I am have interest in communication of science to the non-scientist and consider myself fortunate to have found your Blog. I will be revisiting it. Also re: “the joys of reading old stuff”. Have you seen “The Social Role of the Man of Knowledge” by Florian Znaniecki? I am glad you found the blog post useful. I am even more glad about the hint. I’ll read that asap! !